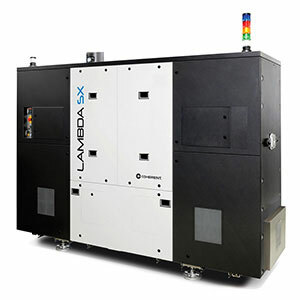 The LAMBDA SX industrial excimer laser series provides unique UV power to the production floor. It delivers high and stable pulse energy and features a number of innovative technologies to provide superior performance and reliability. LAMBDA SX lasers are perfectly suited for applications ranging from microstructuring, advanced semiconductor packaging, manufacturing of high-temperature superconductors by Pulsed Laser Deposition (PLD), Laser Lift-Off (LLO) to high power UV LIDAR. The E-Series is ideal for Excimer Laser Annealing (ELA).